ATTENTION: closed between 23.4. and 3.5.
you can recharge credit here. 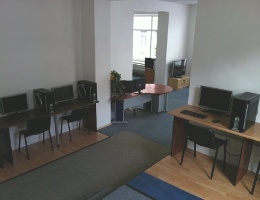 3 PCs with internet, 36 CZK/h. The price of the internet is 30 CZK/hour. 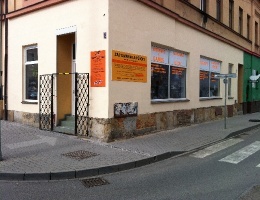 Credit Odorik.cz can be increased at any branch of the Czech Post. Many post offices are opened except weekend, a list of them is here. You can top-up Odorik credit at any Europay terminal. Europay site with a map location of terminals here. You can top up your Odorik.cz balance at any SAZKA terminal. On this page you can find SAZKA terminal (total over 4400 terminals). Since 2007, when company miniTEL s.r.o. was estabhished, it has been operating as VoIP provider for the foreigners living in the Czech Republic and calling cheaply abroad. The company offers virtual calling cards for them, as well as for other institutions. In 2009 was launched Odorik.cz, service which was based on the experience gained from the previously operated service volejlevne.cz. Odorik.cz has been continuously improved. In 2011 was launched the offer of the geographic numbers and in 2013 virtual phone provider in T-mobile network. 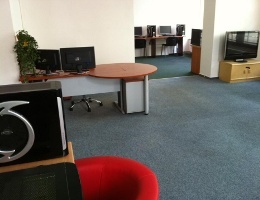 Lately the company has been focused on the services for Czech customers. We are low-cost company with constantly low prices and we are continuously improving our system to become the most effective and to be able to serve for the large number of customers. Sales of minTEL s.r.o. 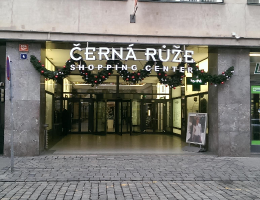 are in millions CZK every year and include almost only retail sales (excl. VAT). The number of the active customer of the Odorik service is in the long term approx. 30 thousand. The company also operates one of the busiest forums focused on IP telephony and also publicly accessible wiki with manuals on the same topic. The company is regular member of Association for digital telephony providers. 31. 8. 2011 - You may find sometimes, that the skype-contact "odorik.cz" is not available for the callings via Skype. It not means that we have promblems. Sometimes it happens due to an unknown internal error of Skype. For its accessibility enough to call "odorik.cz" and it immediately appears online. 12. 7. 2011 - From July 1, 2011 the price of calls to all mobile networks in the Republic is only 1.59 CZK/min including VAT. This was allowed by a reduction in interconnection fees. 6. 10. 2010 - If you have our 91011XXXX phone number and you redirect it to your mobile, you can see now in your mobile phone the original caller number with redirect sign. According to redirect flag (usually arrow) you know that this is a forwarded call and you know who to call back - if needed. We have also made call history more transparent. 2. 10. 2010 - You can expect reduced prices of calls to mobile phones in the CR less than 2,- CZK including VAT from the 1st January 2011. It will be possible because of reduction of interconnection charges. 31. 8. 2010 - We have merged the simple and advanced user interface. For better orientation was added Sitemap, where you can find the most important options that will you offer new user interface. 27. 8. 2010 - When you will send the SMS from ucet.odorik.cz, you can track its delivery in Call History. The status will be changed from WAITING to DELIVERED after the SMS is delivered to recioient. Now the system allows you to send longer SMS which splits into multiple shorter. Rarely is the multiple SMS delivered in the incorrect order and not properly fast. 22. 7. 2010 - When you will send a sms from the user interface, you can track its delivery in the Call History. When the SMS is received, you find DELIVERED here. 12. 7. 2010 - Do you know, that you can call to Skype from all phoneboxes located in the Czech republic? The summer action price from the July 2nd is only 0,99 CZK/min off peak and 0,33 CZK more peak. Calling is very simple. You have to save Skype name as speed dial number and you use this number in phonebox. You can use the same way to call from landline or from cells via callback. 7. 7. 2010 - July 2nd, 2010 we have reduced the call prices to all Czech mobile phones. 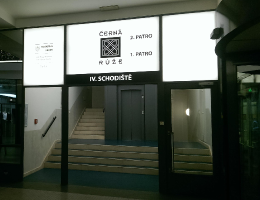 The price is 2.48 CZK/min (incl.VAT) now. Billing is per second (1+1) from the beginning. 3. 6. 2010 - We have a tip for you. 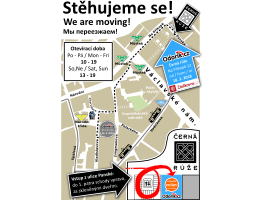 In case you are looking for the nearest phone booth in the place where you are, please visit http://mapy.1188.cz and find a place on the map. 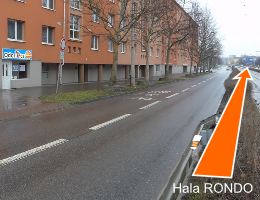 Use following steps to display the phone booths round this place: in the menu click on „other duties“ - „další funkce“ above and then "find the nearest in the neighborhood" - „najít nejbližší v okolí“ and "telephones" - „telefonní automaty“. Calls from phone booths are comfortable and cheaper than it appears. Just try it! 14. 4. 2010 - It is now possible to have our number 91011XXXX redirected to any Skype account. Just add to the parallel ringing list the speed dial digit, where the Skype name is stored! You have to set the parallel ringing in the menu "settings" -> "incoming calls" -> "your own personal phone number. 1. 4. 2010 - April 1st, 2010, the prices of calls from phone booths have been reduced about 0.75 CZK/min for all destinations. The price of calls to the Czech mobile phones from the Internet is also reduced - 2.98 CZK/min. We have also cheaper calls to Slovakia mobile - prices starting at 2.98 CZK/min. 1. 4. 2010 - We have a new version of Odorik.exe (version February 1st, 1.2.22). There are incomming calls correctly handled and you can save your PIN now. 1. 12. 2010 - Now you can sort your speed dials by alphabet. 22. 11. 2010 - We removed a bug that caused impossible to call Skype names from the phone registered in the sip.odorik.cz.